Alexander Graham Bell demonstrated several experimental telephones at the Philadelphia Centennial Exposition in 1876. This unit features a single electromagnet and could be used as both transmitter and receiver. Bell approached the problem of transmitting speech differently from other telephone inventors because his study of hearing and speech more strongly influenced his work. 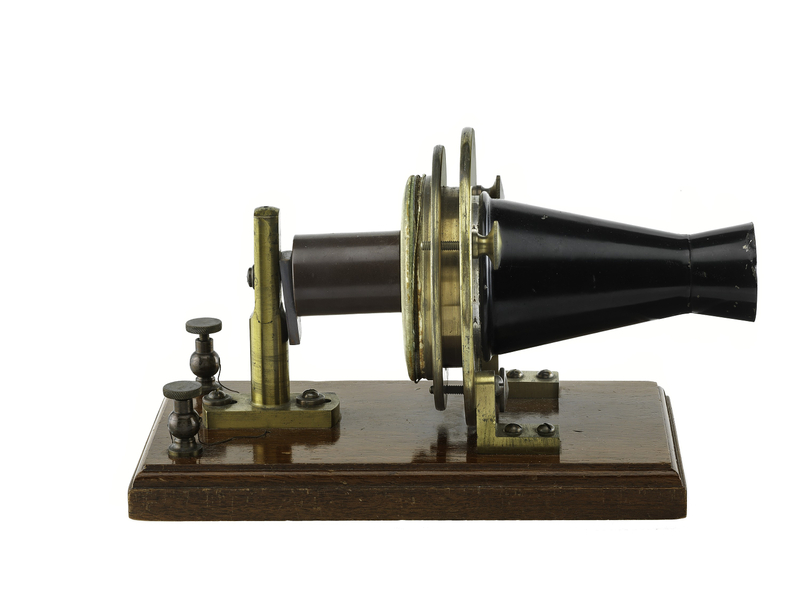 “Alexander Graham Bell Experimental Telephone,” Digital Public Library of America, http://dp.la/item/b20054c0f0fe0a6da41147c5ba24c437.